On November 9, a nine-year-old girl from Birmingham, Alabama, whom other children had been bullying, hung herself in her bedroom closet. 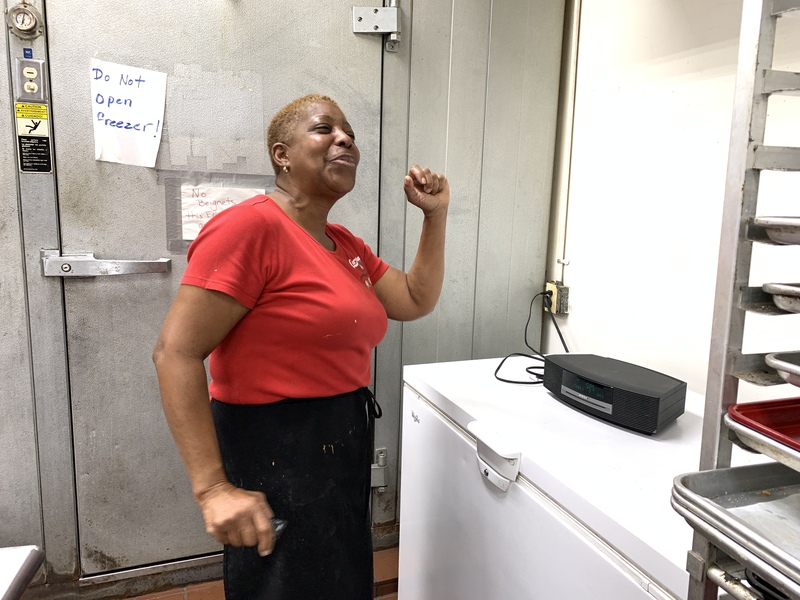 Last Tuesday, Connie Reine—a staff member at Loretta’s Authentic Pralines, in New Orleans’ Faubourg Marigny neighborhood—told me child suicides are becoming less and less unusual. 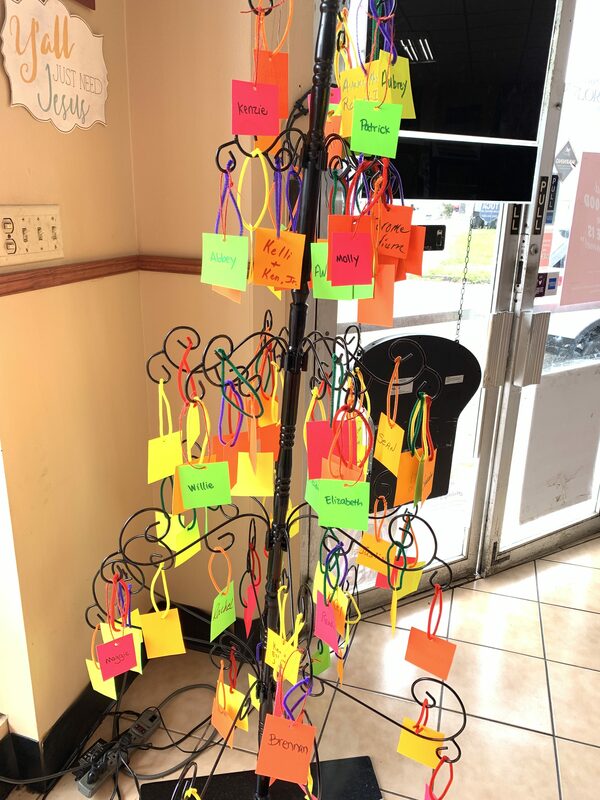 Called to action, owner Loretta Harrison created a prayer tree in October, using a hat rack, poster board, markers, pipe cleaners, and a hole punch. According to Reine, the names on the tree are children at risk of suicide, or simply those whom someone loves and hopes this world will keep safe. On the first Tuesday of every month, from 5:30 to 6:30 p.m., Harrison, her staff members, and fifty of her friends pray over the children featured on this tree. Then they extend their prayers to all the children in New Orleans, Louisiana, the United States, and the world. 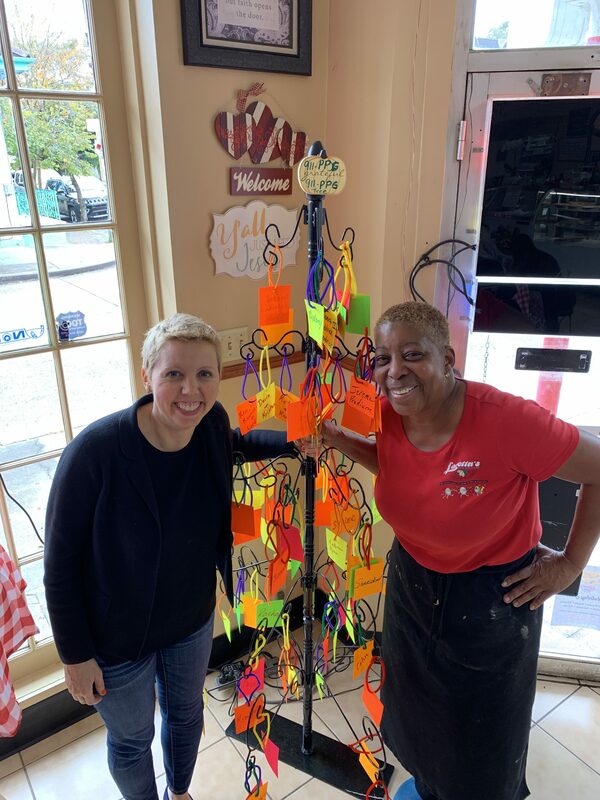 The praline, beignet, and coffee shop also has a chalkboard where people can write the names of children they love, and the prayer circle will cover them, too. Harrison’s staff members pray for both the tree and chalkboard children daily. After speaking with Reine for a while, I caught Harrison in her first non-harried moment I’d witnessed all morning. This being Thanksgiving week, and her display case being quickly emptied of its praline pies, she’d spent most of the morning in the back, making more. When we arrived in back, the smell of pralines and pies rushed forth. Harrison repeated Reine’s account of the prayer tree’s origins: that Harrison had started both the tree and the prayer circle because her heart was heavy from all the child suicides. It wasn’t Sunday, but this was church. Harrison began to cry, indulging me as I shot photos of her testimony. When the song ended, Harrison said she believes all children are at risk of harm, whether self-inflicted or otherwise. “We pray for our children in the neighborhood and everywhere. We pray for your children,” she said. She handed me a roll of twine, a pair of scissors, a marker, and multiple pre-punched poster board squares, and told me to put up the names of the children in my life. Starting in December, the prayer circle will be praying over Brennan, Maggie, Kenzie, Patrick, Elizabeth, Willie, Molly, and Abbey, my six nieces and two nephews. There are bright spots in this world. This beautiful New Orleans community is praying for all our children. They didn’t post on social media that your children were in their thoughts and prayers. They’ve just been telling it to the hat rack every day. 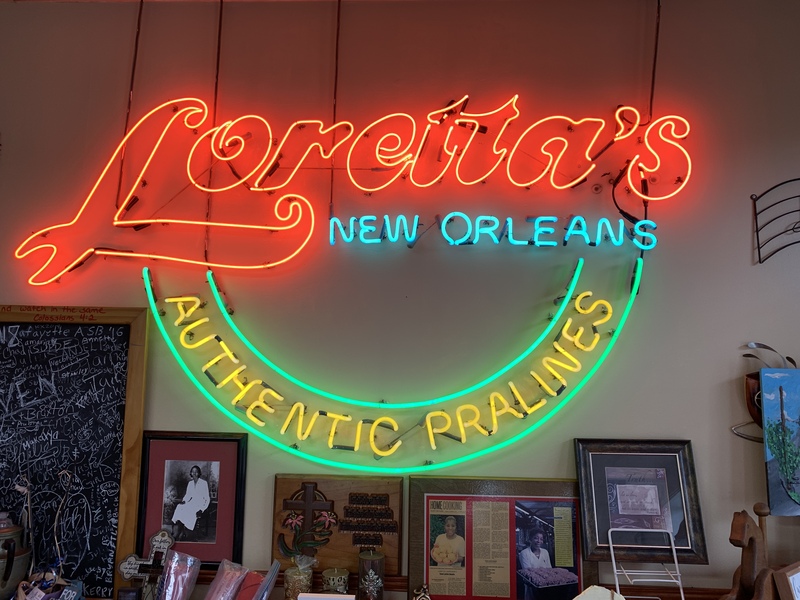 Whether it’s a prayer for your child or a crab beignet you’re after, Loretta’s on Rampart Street will take care of you. Katie Burke is a writer and family law attorney, who lives in San Francisco. She regularly visits New Orleans twice a year to write, volunteer, visit friends, and dance to our world class brass music. Her encounters with New Orleans’ fascinating characters gives her a unique view into the soul of our city.